Is there a Porsche designed BlackBerry on the way? | BlackBerry Blast! BlackBerry Blast! 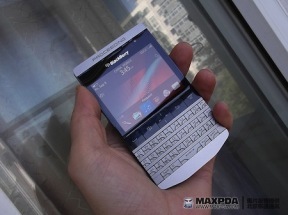 > News > Is there a Porsche designed BlackBerry on the way? Is there a Porsche designed BlackBerry on the way? 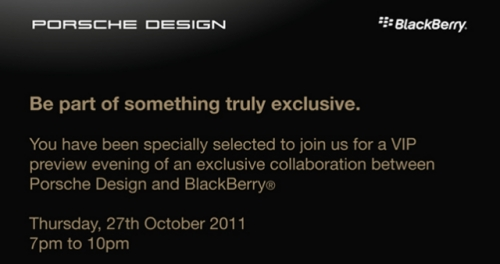 Special invitations have been sent out by that contained both Porsche and Blackberry’s logos, and the speculation is that a Porsche designed BlackBerry could be announced. The event will be held on the on October 27, next Thursday. Could that suspiciously square looking BlackBerry that we saw floating around a few weeks ago be something designed by Porsche? The prototype was named "Knight 9980," and there was no real explanation for the pic. We'll have to wait until next week to find out what's going on. The event takes place in Dubai of all places. Here's a shot of the Knight 9980 in case you missed it.